Arnold van Praag was born in Britain in 1926 and trained at the Slade School of Fine Art (1953-57), where his peers included Michael Andrews, Victor Willing, Euan Uglow and Craigie Aitchison. His first solo exhibition at Roland, Browse and Delbanco in 1965 sold out before it opened. 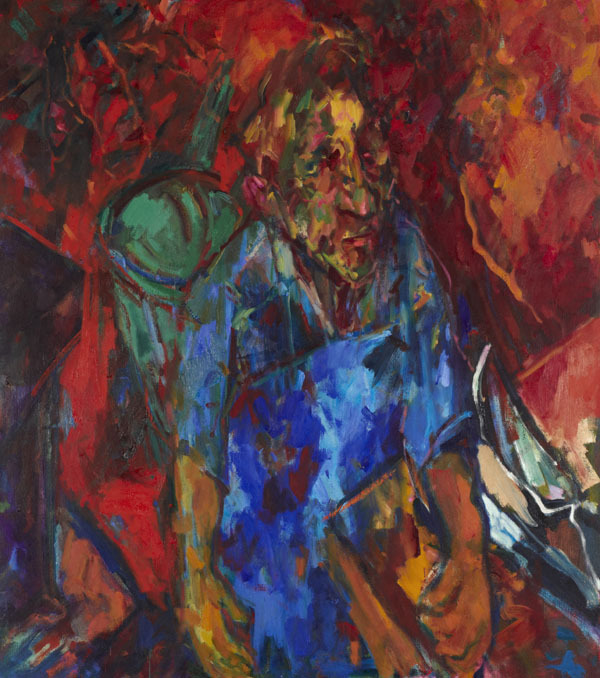 However Van Praag pursued a distinguished teaching career, becoming a Lecturer in Painting, then Head of Painting at Hertfordshire College of Art and Design, then Visiting Tutor in painting at Camberwell School of Arts (1975-91), when he retired to work full time in his Cambridge studio. His work addresses aspects of everyday life executed in a vivid, painterly style with links to German Expressionism.